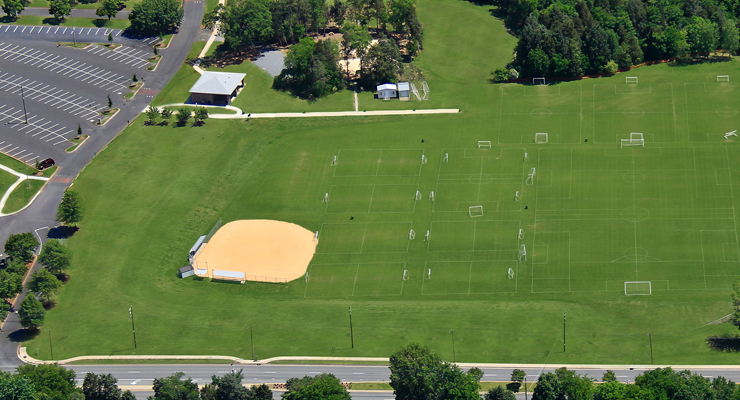 CHAMP Sports is located on the 100-acre Calvary Church campus in Charlotte, where we have a wide range of facilities and sports fields. 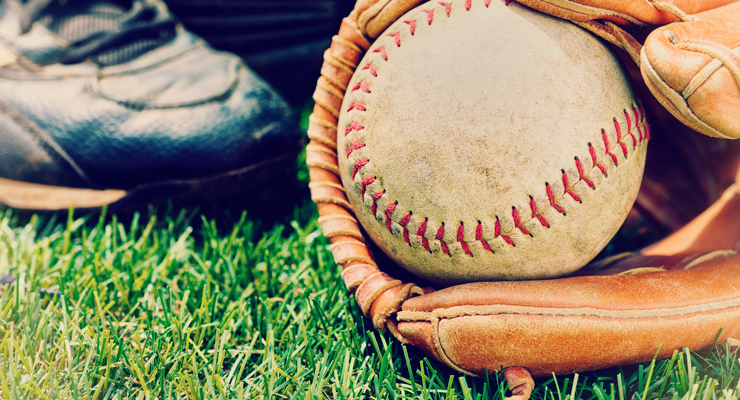 Visit us today! 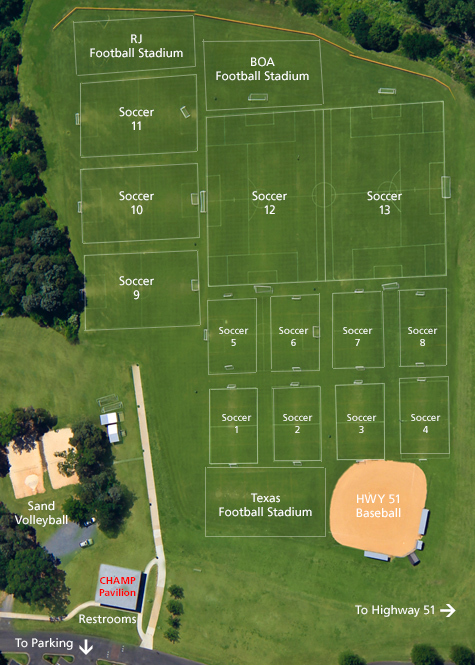 Nearest to our Highway 51 entrance, this area is our main location for soccer and flag football and includes one of our two baseball diamonds. 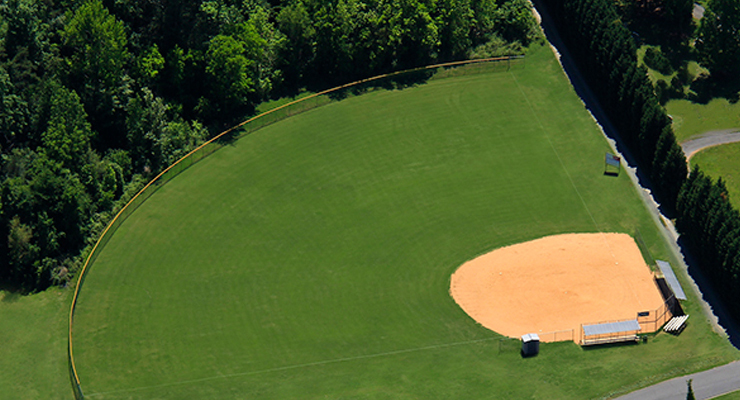 On the Rea Road side of campus, we have the Rea Road field which features a baseball diamond primarily used for softball and coach pitch. 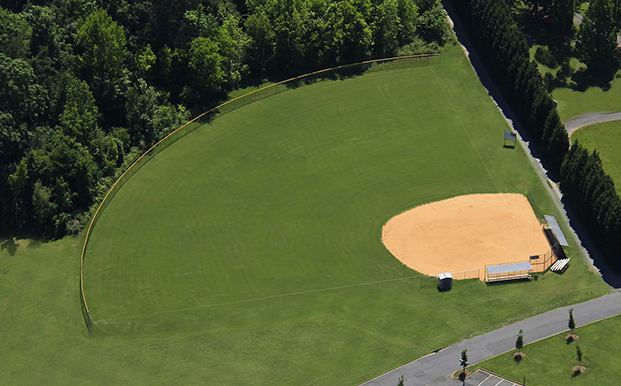 Outfield and surrounding areas are used for flag football and practice areas. 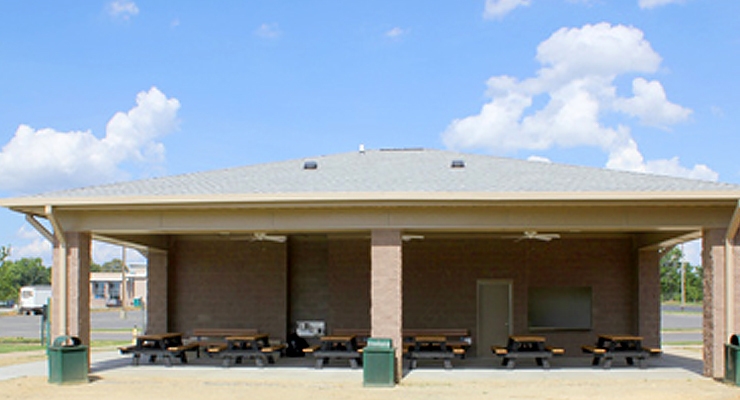 Our CHAMP Pavilion is located at the edge of the Highway 51 Field and offers a convenient, covered 20 x 40 ft. patio area with ceiling fans, benches, picnic tables, water fountains, restrooms, and concessions. 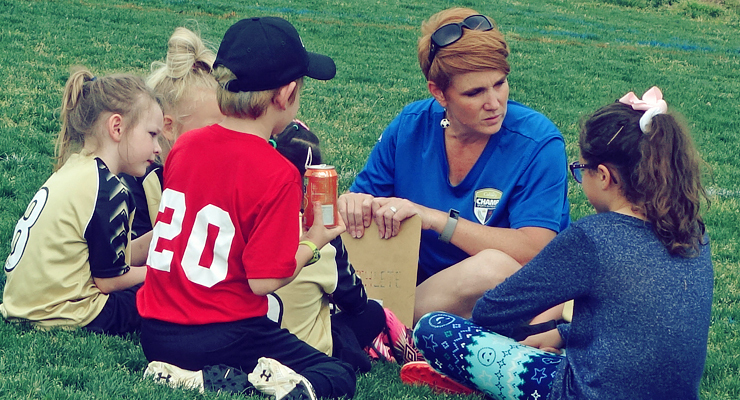 Relax and enjoy the shade during weekday CHAMP practices and Saturday games! 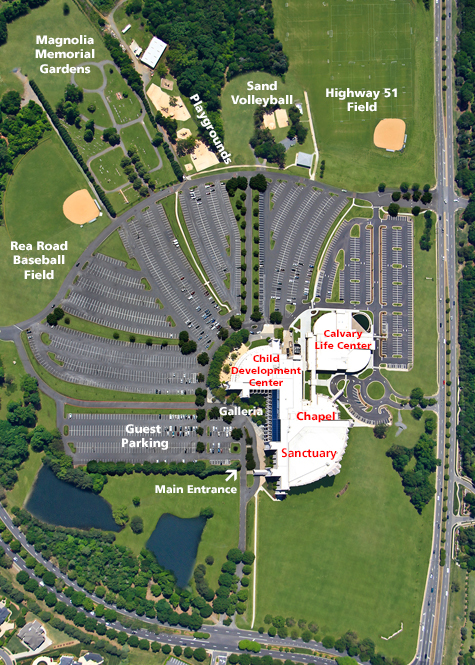 The Calvary Life Center (CLC) is located directly across the parking lot from the Highway 51 field and right next to the Calvary Chapel. 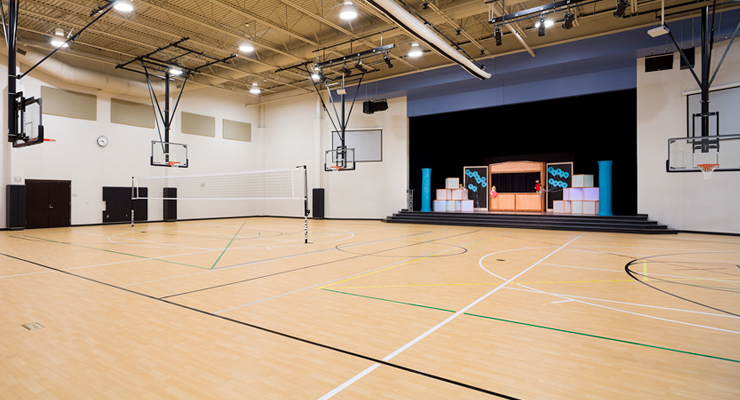 Within the CLC we have a full-size gym, a mini-gym, and large multi-purpose rooms used for many of our fitness classes.